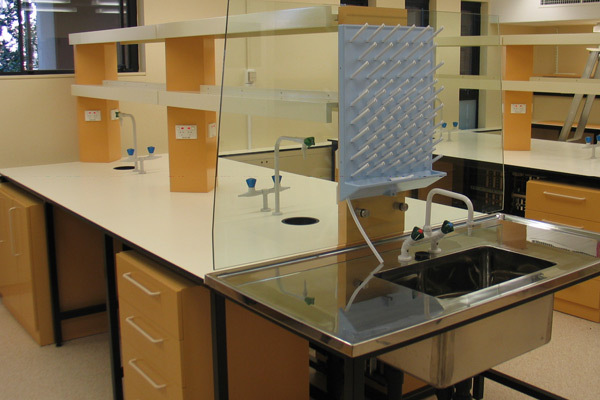 Refurbishment of existing classrooms to new chemical laboratory, offices and incubation space on ground level at the University of Wollongong. The scope of works included new electrical and hydraulic services, joinery plus extensive air-conditioning and fume extraction systems were incorporated into the building. The roof plant area was extended to accommodate the exhausts.